Manuel Castells, the pre-eminent social theorist on the Internet, will be discussing his new book Communication Power at the LSE on Thursday 9 July. Having secured a £2 Megatrain return fair from Nottingham, I hope to get down to this one. 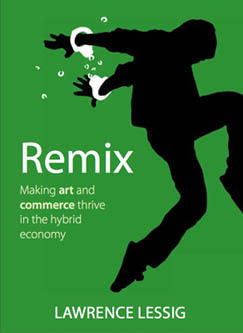 The open access imprint Bloomsbury Academic have released Lawrence Lessig‘s new book, Remix: Making art and commerce thrive in the hybrid economy through Creative Commons. The book is available as a free pdf download along with a NPR audio interview with the author. Lessig explores emergent cultural activities on the web, arguing outmoded forms of copyright need to be radically updated as the copying, remixing and redistribution of creative and informational content become increasingly criminalised. It seems like they are doing just that in New Zealand.